Cellular connectivity is often less than ideal in airports, and many passengers have phones turned to “airplane mode” or off while traveling – which can cost vital seconds in an emergency. 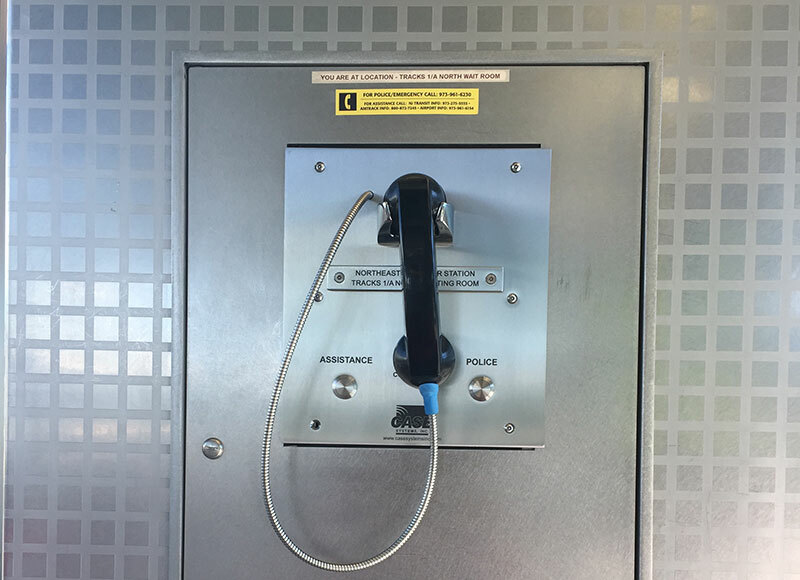 In the Airtran concourse and Newark Airport, emergency phones had been hardwired to ensure improved public safety. Unfortunately, the wiring began to corrode after years of exposure to changing temperatures, and moisture primarily caused by condensation. CASE Emergency Systems not only was able to provide a retrofit solution that saved money, but we also designed a special faceplate to convert the hardwired phones to wireless capability.